Daikon radish – Japanese Turnip. One of the most common vegetable for Japanese dishes. 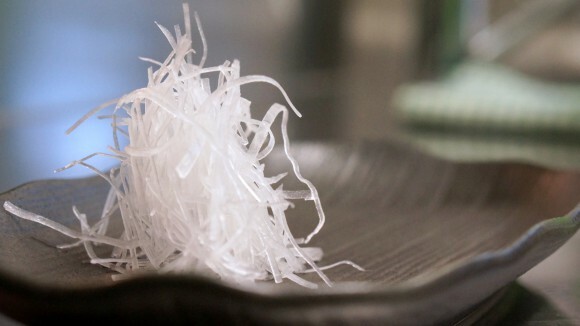 TSUMA (Needle cut DAIKON radish) is a partner of SASHIMI dish. This is not only a garnish but also works as detoxification & helping digestion raw fishes. 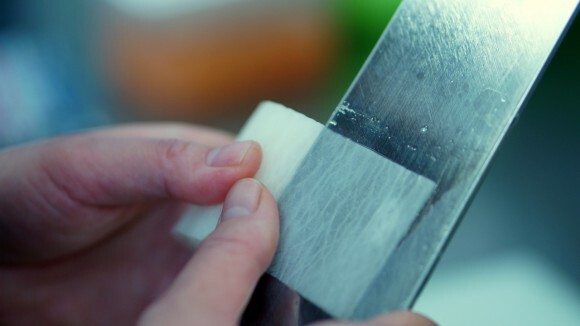 Shaving DAIKON as thin as we can. 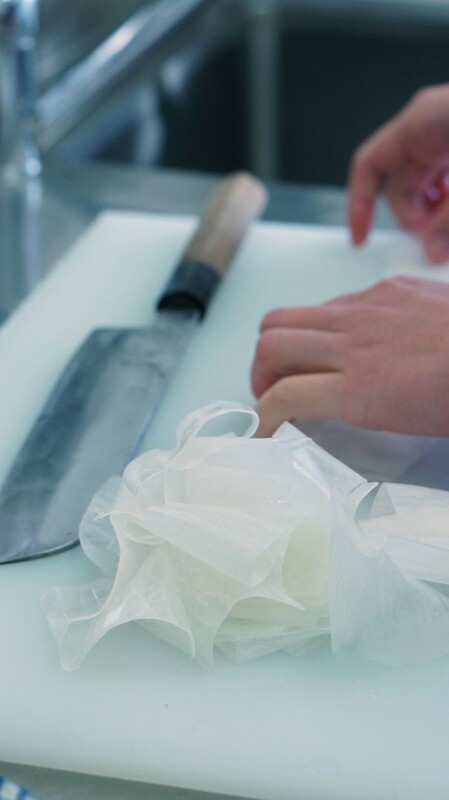 Even in Japan, many of restaurants using shaving machine for making TSUMA but TANTO is a bit different from others so we are still using old fashion knifing skills and take some time to make just the garnish. Please look carefully at the difference of beauty of DAIKON at TANTO.